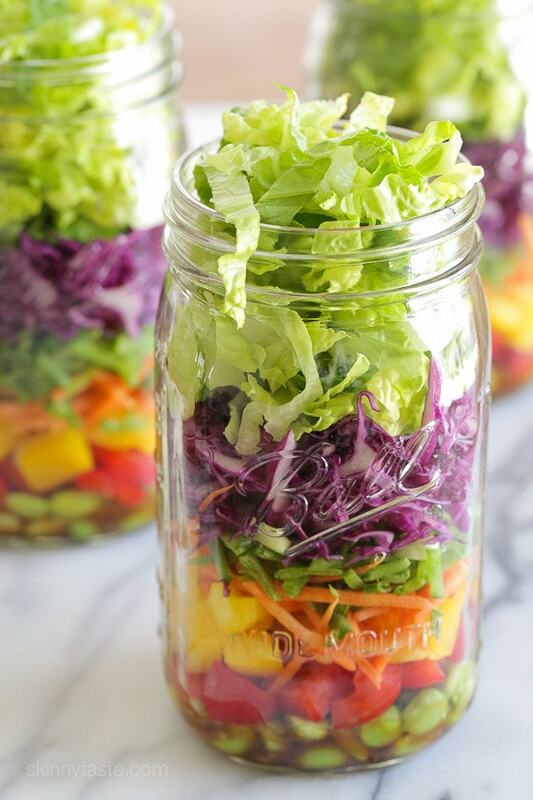 This colorful Asian-inspired salad is layered with edamame, bell peppers, carrots, snow peas, cabbage and lettuce and a simple sesame-soy vinaigrette. 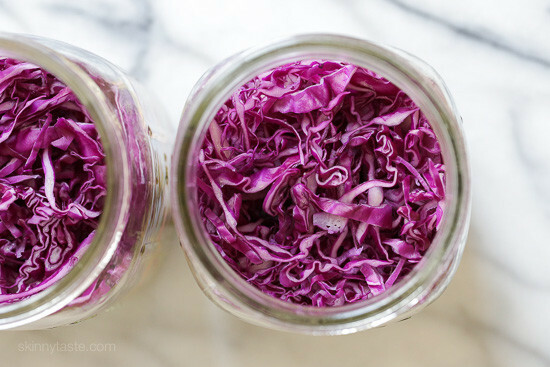 One jar is a huge serving, perfect for lunch or it can serve two as a side dish. 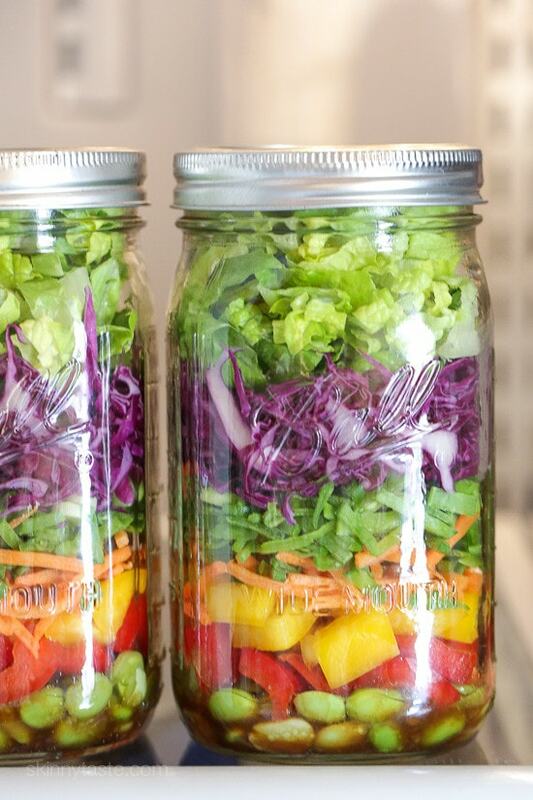 I love the convenience of using mason jars to pack salads for lunch on the go. To do this, the dressing goes on the bottom of the jar, then you start with ingredients that won’t get soggy. You always put the lettuce at the very top, then right before you’re ready to eat give it a good shake to get everything mixed well and pour it out onto a plate. These will stay fresh in the refrigerator for a week. 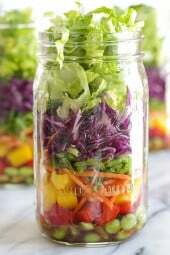 In a small mason jar combine the dressing ingredients and shake well. Place 2 tablespoons of the dressing on the bottom of 4 large quart sized mason jars. Divide the edamame and place over the dressing. Then the peppers, carrots, snow peas, scallions, cabbage and lettuce and cover. Just before eating, shake well to toss then pour onto a plate. This is delicious! I used toasted sesame oil and a frozen cube of ginger defrosted so I didn’t have to shread it. The flavor was right on. I’m loving the jar idea too. Easy to prep and even easier to grab n go for the week. Thank you! Keep these recipes coming! We liked the mix of vegetables in this salad but no the dressing. I think it was too much soy sauce and not enough of other flavors. I’m having leftovers today with Annie’s Asian Sesame dressing. I served it with Asian saucy meatballs from cooking light. I made this salad without the lettuce and mixed it with cauliflower rice. It was amazing!! Drizzled with sriracha and someChopped avocado it made a refreshing bowl for lunch. 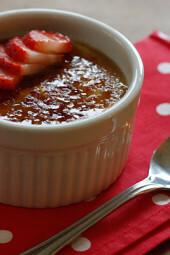 This was the first recipe I used from this site and I truly loved it! I have to admit that when I made the dressing I didn’t think the amount I was using was going to be enough but it’s so packed with flavor a little really does go a long way. I did cheat some as calorie content is not my main focus, more of trying to change unhealthy meals to healthier ones. To save time I used the “squeezable” ginger. It has a couple extra ingredients but I don’t think it took away from the flavor at all. Other than that I swapped out the snow peas (as I didn’t have any) for cucumbers. I have had this for dinner two nights in a row and looking forward to dinner for the next two nights at which point I might just have to make more.Thank you! Huge salad. The lettuce does stay fresh for several days, but it’s more than one meal. I added some chicken to up the protein count. would recommend a smaller jar and increasing the dressing just a bit. I made this minus the red bell pepper and it was delicious! 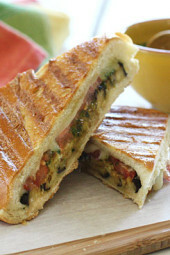 I love love this recipe the only thing I added was some mixed tomatoes and grilled chicken. Overall this is one of my favorite Skinny recipes. I love all of the stuff that I have made from here. 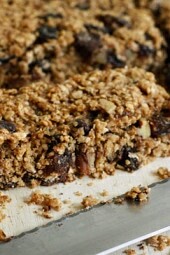 Thank you Gina for sharing these wonderful recipes!! The points are pretty much all in the dressing…the rest is pretty much just free veggies. But what a yummy dressing!! With the addition of some shrimp or chicken, this would make a filling meal. Yes, please share if edamame is fresh or frozen – if frozen, do you cook it first? Thanks! 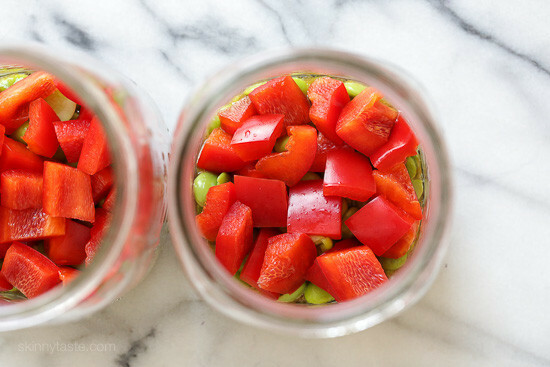 I love Jar Salads and your website, haven't had a bad meal yet and lost 20lbs! 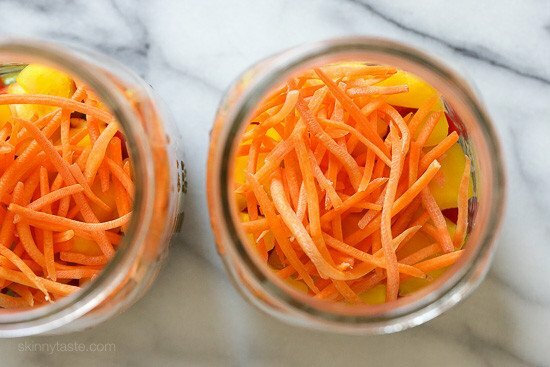 Anywho please, please, pleeeeease post more jar salads!!! I've been making them for a year and I need new options and dressings! Thanks. This might be a dumb question but I could not for the life of me find fresh edamame – only frozen? Would that be okay or would it make the whole thing weird and kind of watery? Looking forward to more jar salads! I'm Lifetime so I'm coming it at from that perspective. After hitting my goal and keeping it off for two years, I don't want to switch the pitch! Glad you like it…my mom likes it too. Best of luck! 7 Smartpoints for a salad just seems really high. Do I assume it's all in the dressing? Any chance you can have your recipes in Lose It? Would be a huge time saver and very useful! Oh no…did you get rid of the PointsPlus calculations? I tried the new program for a couple of months, but don't like it, the app or the website. I finally and very reluctantly canceled WW (as many members are doing right now). I went back to PP, but I'm so sad to see that those calculations are gone from your site, since you always kept the calculations for prior points programs even when PP was active. 🙁 Is it possible to bring them back? Many, many people are still using PP on their own. I realize I can still calculate with the nutrition info you give, and will do that if I must, but having the numbers there made it easier to find meals that would work within my points budget. I am stilling adding them, I guess I forgot for this one! Curious why didn't you like the new WW program? Just rejoined and it seems fine. I agree…the app is challenging! I love the SP much better! It seems as if their points are more on target. With the PP, I could carb load, but good fats and protein were too high. I've been on the SP way for a little over a month and Ive lost and feel more satiated. I love this! So beautiful and fresh! 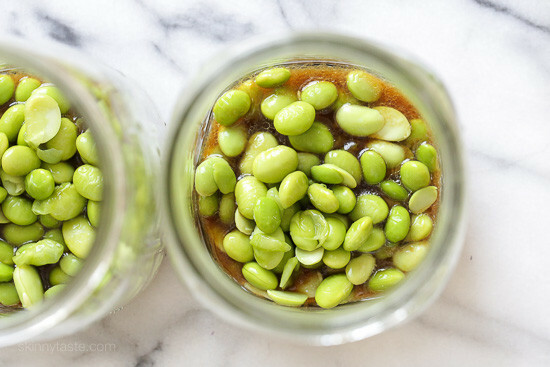 Did you cook the edamame before storing it in the jar? It says 3 cups per jar so I think that tells you the jar size.i sure think it's beautiful and very enticing!! Yes it's a huge salad. I got into mason jar salads this month and this is right on time because I was getting tired of garden salads. More ideas for jars would be great! I'll be doing for next week. Great, I will share more soon. Looks great! Not a fan of edamame though and I think I would just use red and green cabbage and forgo the lettuce. I'm sure I can always recycle some jars myself without investing in new ones. Will definitely give this a try! Please, can you be more specific about what size jar you used? I have some pint (16oz) ones, but they seem too small. Without edamame (I can't eat) it's only 3 SP!!!! I'm eating the Zero Belly diet which calls for a TON of vegetables. 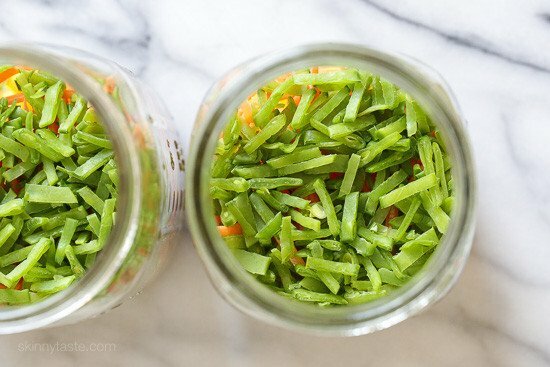 This is a great way to divide a big amount of prepped veggies into 2 separate meals. So much less waste at my fingertips. I love the addition of snow peas. 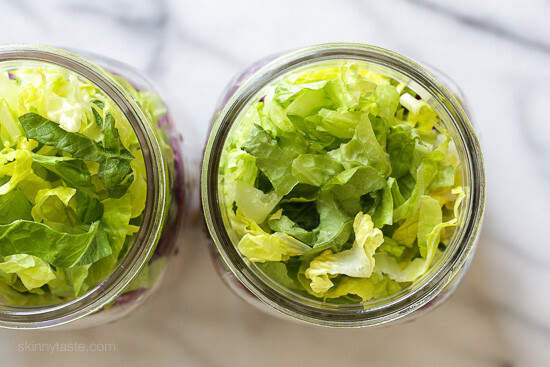 Salad in a jar is the best way to get your favourite veggies to work! I want to try this! Interesting the salad stays fresh for a week in the jar.. I like that!! One jar= 7 SP? It says it serves 4. Looks delicious! I think you make individual ones and divide the dressing 4 ways. It makes 4 jars, 1 jar is a serving if you want it for a main meatless meal. If you prefer this as a side, then it would be half the jar, and half the points. What size jar did you use? Quart?